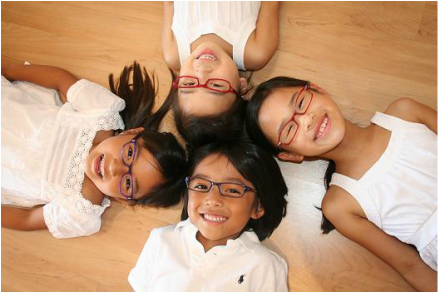 Eyeglasses are a critical part of your child's life because they help your child see the world more clearly. Most kids wear their glasses all day, every day. This means that you need your child's glasses to be comfortable and the prescription lenses to be precise. Uncomfortable, ill-fitting, or inaccurate children's eyeglasses can cause problems like headaches and blurred vision and can make it difficult to read, judge depth, or even drive. 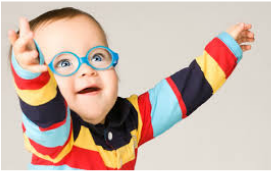 We offer a variety of quality children's eyeglasses as well as a knowledgeable and experienced staff who can help you decide which eyeglasses for kids will provide you with the most comfortable fit while still staying true to your child's personal style. We ﻿offer performance sports eye wear that will protect your vision and boost your game – no matter what you sport is! Sport-specific eyewear can enhance performance by improving visual clarity while protecting your eyes from injury. 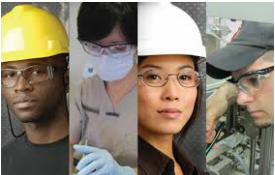 Prescription safety glasses are a must for those who require prescription glasses, but work or play in environments that may be hazardous to their eyes. Whether you need protect from dust, wind, radiation, chemicals or lasers, we can special order it for you. We offer a wide selection of special order frames that are uniquely designed to offer a comfortable, better fit for our patients with special needs. Our frame companies offer a variety of sizes & colors that can fit toddlers through adults.